Can Protein Cause Your Skin to Turn Yellow? Turmeric spice has medicinal properties, and has been used for centuries to treat various ailments -- from jaundice to leprosy -- for over 4,000 years, according to the University of Maryland Medical Center. Today, it is commonly used for digestive issues. Although it has a long history of use, turmeric has the capacity to be toxic to your liver; therefore, it's important to consult your health care provider before taking it. A perennial plant in the ginger family, turmeric grows up to 6 feet tall and is native to tropical regions. It is a common spice used in Indian cuisine and gives curry its distinctive flavor and yellow color. It is also used in food coloring as well as to add color to cheese, butter and mustard. Turmeric is used in traditional Chinese medicine as an anti-inflammatory agent for liver, digestive and skin issues. Though turmeric contains about 200 compounds, the primary compound responsible for its medicinal effects is curcumin, says the UMMC. Turmeric is commonly used for digestive issues because the curcumin stimulates your gallbladder, which is a small organ that helps digest fats. Your gallbladder produces a substance called bile, which is released when you eat a meal containing fat. Bile helps emulsify fat, but bile flow can be reduced if you have gallstones. Though human toxicity studies are lacking, a study published in the October 2010 issue of "Food and Chemical Toxicology" examined the composition of turmeric and predicted the probability for toxicity. 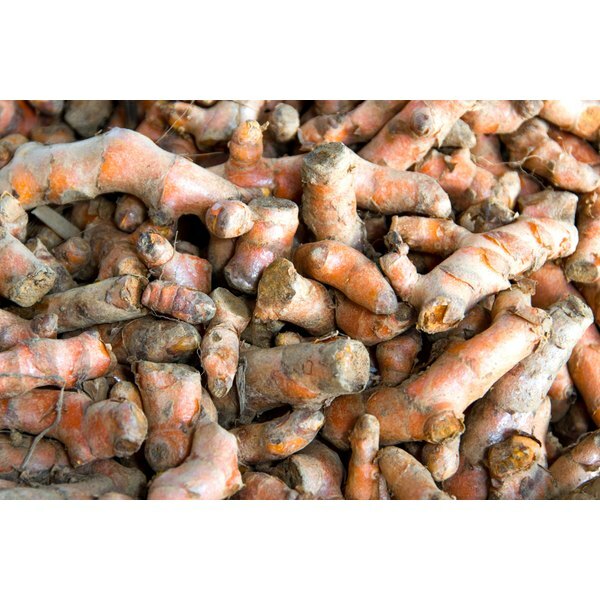 Of turmeric's 200 compounds, 184 were predicted to have the capacity to be toxic. Of the predicted toxic compounds, 64 were considered hepatotoxic -- substances that are toxic to your liver. The study also examined the primary active compound curcumin and found that it may also be toxic to your liver, depending on dose. Turmeric appears to have benefits at normal doses, while larger doses may have adverse health effects. Turmeric is available in dried root powder, liquid and tincture. According to the UMMC, recommended doses are 1 to 3 grams daily for dried root, 400 to 600 milligrams three times daily for standardized powder, and 15 to 30 drops four times daily for tincture. Check with your health care professional before determining a dosage. Dietary turmeric is considered safe; however, supplements have the capacity to cause side effects. For example, you may experience ulcers and stomach upset if you take higher than recommended doses. You should not take turmeric supplements if you are pregnant or nursing. Consult your doctor before taking turmeric if you have gallbladder issues or are on prescription medications. Turmeric has the capacity to interact with blood-thinning medication, antacids and medications that lower your blood sugar.